Today I pose the seemingly bizarre question- What if the New York City police double police officer execution of Rafael Ramos and Wenjian Liu was actually a false flag? Is this question as ridiculous as it seems on the surface? Can understanding the entire picture open minds to the idea that the possibility still exists that it could have been? Could it be that this event blindsided every single person in America including yours truly? While I'm not entirely convinced myself that it was necessarily a false flag, after taking a closer look at some of the evidence and oddities I'm at least uneasy about the entire story as a whole. What do I mean by this? Lets take a closer look into this issue. First, the term false flag was originally defined as a covert military operation whose purpose was to stage an attack on itself and then falsely blame the attack on an enemy that the entity conducting the false flag wanted to invade or attack. While we still see classic false flags that meet this standard definition, in America however, the definition of false flag has been broadened to apply to staged events at the local level. As many truth seekers know, we have witnessed countless locally staged crimes in the past few years that are designed as self-inflicted wounds to attack an enemy. Unfortunately the enemy in this case is our own civil liberties, the Constitution and freedoms. Because of these repeated local false flag attacks on the American people, we have conditioned ourselves it seems, to label all staged events as simply "false flags". For the sake of clarity, this is the context by which I refer to false flags in this article. Never before in the history of this country and in the history of our own consciousness have we seen this unprecedented frequency of staged events i.e. false flags. Thus, we as a truth-seeking general public are becoming and have become experts at identifying these now signature (politically motivated) false flags. As a result we can mostly all agree that these staged false flags of the last few years have many themes and patterns in common. Let's review some of these observable common themes. They often involve a "lone gunman" as opposed to a group of people (as we saw on 9/11). They often involve some kind of drill going on. Quite often we've witnessed where the shooters conveniently either kill themselves (since dead men tell no tales), or the shooter is clearly in a hypnotic (drug induced, mind control) state. Either way, the accused perpetrators never get to tell their stories. They are usually dead or if they are still alive then they are labeled insane, or in some cases (such as Boston bombing accused patsy Dzhokhar Tsarnaev) the accused literally have their voices sliced and sedated so they cannot speak. The common denominator is that the accused patsy is never allowed to speak intellectually to defend themselves in the public eye. Often we see a series of oddities surrounding the event. And often the political results of the event favor the government and control system while removing more and more liberties and freedoms from the people. With all that said, it is only fair to ask the simple question that literally no one has posed up to now, even one week since the double police execution in New York. What if the shooting of the two New York City police officers was yet another false flag staged shooting like many of the others we've seen in the past couple of years? Sound ridiculous? Fine, but can anyone fully explain why this is a ridiculous proposition? Perhaps this suggestion is indeed wrong. Perhaps in the end, this was a totally coincidental event, but let's consider a few things before we sweep this one under the rug and move on forever. NYPD Chief of Detectives, Robert Boyce, admitted at a press conference on December 22 that investigators don’t know where Brinsley was between noon and the shooting, shortly after 2:45PM. This nearly 3 hour gap of time started after Maryland police tracked Brinsley via his girlfriends cell phone, then eventually lost the GPS signal. What did Brinsley do during this almost 3 hour period? Brinsley seemed determined to exact revenge for the (white) officer murders of both black men Michael Brown and Eric Garner. Yet surprisingly he decided to kill a Hispanic and Asian cop as retaliation even though at least one of Brinsley's best friends was also Hispanic. I found this a bit surprising. Surely Brinsley, who calculated his actions carefully had the opportunity to shoot white cops when he got to New York City on his trip to Brooklyn but apparently decided not to. I also find it a bit odd that Brinsley, knowing he was going to die that day (as proven by his instagram message) did not plan out a greater shooting event, say in Manhattan. Instead he chose specifically Ramos and Liu to execute before killing himself. And who actually announces openly on social media that they are about to kill police? Doesn't that increase your chances of getting caught and ruining your mission? Personally, that doesn't strike me as something a black gangster type would do. Seems to me that if he was on a final death wish mission, knowing that he was going to die, he would have gone for it all (Columbine style) and shot as many cops as humanly possible. Since we have no way of knowing what he was thinking, this is possibly a minor oddity in light of the bigger story, but probably worth mentioning nonetheless given the stated calculated effort put forth by Brinsley that day in his retaliation mission against NYPD. "In one 2011 plea deal, he answered “yes” when asked if he had ever been in a mental institution or under the care of a psychiatrist, court records show." This clearly shows that Brinsley had a history of mental illness requiring treatment at psychiatric institutions. Given what we know, it's interesting that no one is asking what pharmaceutical psychiatric drugs Brinsley may have been on. I have not heard any reports confirming what drugs were in his body. Maybe it's because that would lead to the next possibility we should consider; Is it possible Brinsley was under mind control like the recent shooter in Florida State University? This may sound far-fetched only because the mainstream media is not covering this. In light of many of the shootings we've seen in the last few years, where the shooters were all on psychiatric medications, it's actually surprising that no one is asking this question. Also, is it too much to think how odd it is that Brinsley ironically spoke Arabic, was a member of a powerful prison gang 'The Black Guerrilla Family' and had "contacts" in Ohio, Maryland and Brooklyn while using an address in Georgia? What about Shaneka Thompson, Ismail Brinsley's girlfriend who was shot in the stomach by Brinsley that morning? Why haven't we heard more from her talking about Brinsley's past? And why is Thompson's Facebook page suddenly deleted? Here's a question- Why is it that every single suspected false flag event involves the subsequent deletion of Facebook accounts?? Again, this may be nothing, but it is an observation worth mentioning here. Is Facebook hiding something? Was there some information on Thompson's Facebook that might shed more light into the history of Brinsley, Thompson or both? There are actually a lot of questions that are not being asked by the media who instead is focusing 24/7 on Brinsley's criminal past and on NYPD sympathy. So let's review- lone gunman with a clear history of mental illness, probably on psych medications, with a history of traveling to visit contacts and/or doing business in at least 4 states (Maryland, Ohio, Georgia, N.Y) on a regular bases. A man with a super long criminal record in multiple states, broad prison gang connections, a black man who speaks Arabic, described as "God-fearing" by friends, and a sudden propensity to announce the heinous crime he is about to commit right before he kills 2 (non-white) cops in retaliation for the white cop killing of 2 black men. The lone gunman then conveniently kills himself after fulfilling his cop revenge murder of an Asian and Hispanic officer. Does he not sound like he could potentially be the perfect patsy? Is it that far fetched to ask this? Normally I would say this is far fetched, but in light of the current corrupt staged world America lives in, it is absolutely not. What about the murdered officers Rafael Ramos and Wenjian Liu? What could possibly suggest false flag in anything they did? Could they have been set up as expendable collateral? 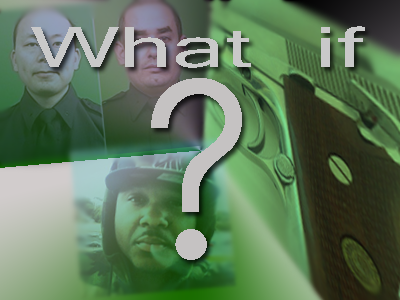 Does the NYPD have history of setting up officers to be killed for a greater agenda? Was there any strange activity going on that day? Let's consider some of these questions. Could officers have been set up as martyrs? This may also seem farfetched, but is it really? And does the NYPD have any history of setting up officers for death? Actually they do. The true story of Frank Serpico comes to mind. The story, made famous by Hollywood movie 'Serpico' starring Al Pacino, is about how in 1971 Serpico, an NYPD honest officer is set up by his partners in a drug bust gone bad. Serpico was also shot in the face and left for dead by his comrades. I'm not saying that is what happened to Ramos and Liu, I'm just making the point that it has happened before specifically with NYPD. It is ironic or intriguing that two fully trained officers in a Brooklyn neighborhood never even saw Brinsley walk up to their squad car with a gun in his hand? Never had a chance to fire one shot? Run, duck or anything? Again, entirely possible but a bit ironic given the officer training and alertness they exercise especially in New York City. Again, it is at least worth mentioning this point for the record. Is there anything else we can say about the officers conduct and capacity that day? Many truth seekers have pointed out in the last few years how false flags always seem to involve a drill of some kind and wouldn't you know it both officers had been working overtime on an "anti-terrorism drill" when the shooting happened. Let me not be misunderstood, this may very well be a coincident but it's worth mentioning because a 'drill' would guarantee the known location of the officers. Actually, there is one more piece of information about the officers, specifically officer Ramos that I need to mention. It turns out officer Ramos was a very close friend of a distant family member of mine who ironically is also part of NYPD. This new information led to the idea for this article and thus I believe the need to at least consider that Ramos (and his partner) could have been set up. Officer Ramos was very close friends with an NYPD officer that I personally know who is as clean an officer as you will find. That leads me to believe that officer Ramos was also one of the truly good guys in the force by virtue of the fact that psychology shows that people tend to make close friends with those that have similar values as you. Given the likely character of Ramos based on who his close friend was, and given the long corrupt history and nature of NYPD (remember 9/11? ), it is not inconceivable that someone may have felt that Ramos (and Liu) was expendable. Obviously this is speculation but remember, you'll never get the full truth from NYPD so it would be something worth researching. Don't look now, but we suddenly find ourselves in a barrage of what I call 'pro-police' propaganda designed to restore the police state from the recent PR hits it took during the Michael Brown and Eric Garner justice disasters. This recent pro-police propaganda campaign is designed to link 'anti-police' protestors with murder and violence and the higher ups at NYPD, government and mainstream media are fostering this propaganda. Following the shooting we observed an immediate mass media campaign to demonize protestors of police brutality and the police state as indirectly responsible for the killing of the 2 officers. Every single mainstream media network has jumped in on this meme. USA Today used the event to spin a story titled ' Social Media Posts Threatened "Pigs" ' fully defending police with propaganda. NBC jumped in with a propaganda story about protestors chanting "we want dead cops" intended to rally Americans against protestors just like they did at Occupy. The media even jumped in on the shooting to take shots at organizations whose mission is solely to keep police honest like CopBlock, claiming they are a hate group! Even Hollywood and the lapdog entertainment industry has jumped in on the propaganda with Bon Jovi wearing a pro-police t-shirt at a recent concert and getting media coverage over it! In the NFL this weekend, we saw head coaches for both NYC team (Jets and Giants) sporting pro-NYPD hats for the nation to see as well. Earlier in the week we all heard the story of hundreds of NYPD robotically (and in cult-like manner) turning their backs on the Mayor of NYC for defending the protestors. These are just some examples of the mass media pro-police (post 9/11 style) propaganda that is sweeping our nation. All of this is being orchestrated, and all of this is Edward Bernays propaganda 101 to the max. All of these actions should raise a major red flag for everyone who cares about freedom, America and humanity. Every one of those officers who turned their backs on the Mayor is turning their backs on humanity, freedom, and human dignity. Garner was only selling cigarettes. He didn't commit any violent crime or offer resistance. Yet every one of those police officers are consciously spitting on the grave of Garner and in war-like manner coming to the sympathetic aid of one of their fallen ones instead as if wearing the right uniform is more important than being human. Shockingly, we heard numerous stories of NYPD mocking the death of Michael Brown shortly before this recent shooting. Did this inhumane mockery of human life fuel the situation? Want more propaganda facts? When Michael Brown was executed the mass media only described it as saying Michael Brown was "shot" or the Michael Brown "shooting". Sounds a lot cleaner than "execution" huh? It gets worse, in the case of Eric Garner mass media headlines all referred to "the chokehold death" without even mentioning "murder", "killing" or "execution". Do not underestimate this clever use of words by the mass media. It's all by design! Fact of the matter is that above and beyond the pro-police media propaganda in full swing being implemented on the American people, quietly another disturbing meme is emerging. Evidence shows police have segregated themselves even further from humanity with their 'us versus them' mentality. This is a supreme injustice since 'we the people' are the ones who pay their salary, and they are paid to actually serve and protect the very people they want to be at war with. Example- This article whose headline reads: 'Mourners from AROUND THE NATION attend funeral for slain NYPD officer Rafael Ramos' - tells of many police who flew long distance to "honor" their fallen "partners", which are very likely people they've never met. It should concern us when officers and police sympathizers who couldn't otherwise care less how many civilians are being murdered every single day by police, stop what they are doing for the murder of 2 police officers they've never met. This shows us just how wide the disconnect is between humanity and police. This also serves as a warning to all of us who care about humanity, civil rights and human rights, that police today have a gangster mentality of 'us versus them' and no case has brought this out more than the recent police shooting in New York City. This gangster mentality is what protestors are concerned about. It's the abuse of power, the disregard of human life (unless it's their own), the willingness to blame we-the-people for all of their own failures, and most of all, the lack of responsibility that comes with wearing a badge. Instead, killer kids like Daniel Pantaleo, who see nothing wrong with what he did, are having their reckless disregard for humanity reinforced by this gangster attitude that police promote. Let's remember this attack comes 2 months after the 'axe-weilding' incident where Zale Thompson was shot and killed by police after he attacked several NYPD officers with an axe. Thompson, like Brinsley, was promoted by mainstream media as a government hater, lone wolf who, like Brinsley uncharacteristically posted a trail of his hate for police just before committing his crime. As in the recent murder of Ramos and Liu, police and politicians used the axe-weilding incident to garnish more sympathy for the NYPD and ramp up rhetoric for more police state. Regardless of what you believe happened in New York, remember that we are factually in a time where media is staging one story after another to strip away every form of liberty, strengthen the police state and control all human activity. Let us use this incident to remind ourselves to never fall asleep. Stay vigilant at all times and never underestimate the control system and their lying mass media. Don't think for a moment they would ever let an opportunity get away to increase their police state, which is now being exposed more than ever in the aftermath of the Brown and Garner murders. It shouldn't shock us that hypothetically, now would have been the perfect time to set up a police murder to swing the pendulum of sympathy back to the police. Remember they have tons of Hollywood TV shows and movies, all designed to generate sympathy, empathy and admiration for the police state. They know that this is the only way that they will get their new world order. They need everyone's consent and in order to get everyone's consent they must engineer sympathy and empathy for the police. The recent murders of Mike Brown and Eric Garner and subsequent non-indictments put a dent into the image of police nationwide and presented a threat to their perception of being the good guys. One can argue that a false flag shooting was needed badly to turn the tides. Let us do everything we can to expose this propaganda and at the same time let us not ever assume that this shooting was absolutely not a false flag. Let us remain hyper-vigilant about the tactics of the enemy. Let us always error on the side of caution and assume, even if wrongly, that this event could possibly have been staged until proven otherwise, not the other way around. Regardless of what you believe, I hope we can all agree that even if the recent execution style shooting of the officers was not a false flag to benefit NYPD, the subsequent circus pro-police propaganda is.